Tim, an emergency plumber in London, explains about his experience when it comes to what mixer shower you should buy, especially when there is so many mixer showers out there and the complications of what shower should be fitter. If you own a small house with a Combination Boiler as so many people do in London, buying a mixer shower can be wrong if it’s built for a house that is of a large size, other problems with different types of feeds can be down to either being fed from a pump or gravity feed system. Each mixer shower has a special type of feed, whether this is of a high pressure or of a low pressure. Buying a shower can be quite hard even if you are an emergency plumber in London or anywhere else in the UK, so when you’re a customer this will then become almost impossible. What is required when buying a mixer shower is that, the specifications are written on the back, if there not written on the back then the mixer shower is not worth buying. Tim the emergency plumber in London explains the amount of complaint he has received from other plumbers about a mixer shower that was fitted is far too high. The problem is that the customer buys a shower then just expects the plumber to come along and fit it. An un-experienced plumber is more than likely going to fit the mixer shower without acknowledging the fact that it is no good for the system that is being connected too. The pressure to my mixer shower is running slower. I have hot water coming from my mixer shower but no cold. I have cold water from my shower but no hot. My mixer shower has no water coming out at all. When I turn my mixer shower on I get a load of air. As Tim has so much experience when fitting a mixer shower as an emergency plumber in London Tim has decided to give his version of what could be the problem to the top 5 questions asked when using the mixer shower. A slow water pressure or no hot or cold coming out could either mean a partial air lock or water pressure problem due to incorrectly being fitted. If there is no water pressure coming out at all then either check any valves coming to the shower are in the on position and the system is free from airlocks and has been primed. If there is a continuation of air, this can be down to the fitting of the mixer shower being incorrect fitted but may not require an emergency plumbing in London or anywhere in the UK and the best thing to do is wait until the day to get a general plumber out and diagnose the plumbing problem by making sure that the instructions are fully followed. 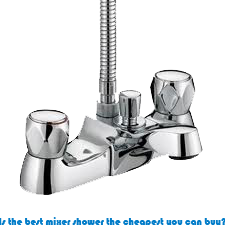 So in the opinion of the Emergency Plumber Company is that Bristan is the best mixer shower that can be bought but for a cheap solution the best mixer shower is the shower that is attached to the bath taps. 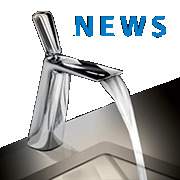 We have more information such as what is the best electric shower.